Two of the producers of the musical La La Land – the equal most nominated film in Oscar’s history and one of the hottest favourites for years – had already given their Best Picture acceptance speech when it emerged that the veteran actress Faye Dunaway had read out the wrong winner. “We lost, by the way,” Fred Berger continued, realising that there had been a mistake. Jordan Horowitz, who’d already accepted his statuette, interjected, “Moonlight, you guys won Best Picture.” Horowitz later said his heart had been “a little broken” by the mix-up. It turned out that Warren Beatty, Dunaway’s Bonnie and Clyde co-star, had opened the wrong envelope – and wondered why it said “Emma Stone – La La Land,” rather than just the title of the film. This was the back-up envelope from the previous category, Best Actress, which had given the musical its sixth award from its fourteen nominations in thirteen categories. 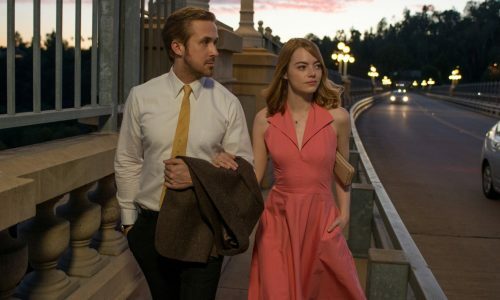 In addition to Stone’s Best Actress prize, La La Land also took – fittingly for a musical – Best Song and Best Score, Best Cinematography and Best Production Design – and it made Damien Chazelle, at 32, the youngest winner of the Best Director honour. Moonlight’s awards hall included Mahershala Ali’s highly anticipated Best Supporting Actor win and the Best Adapted Screenplay prize. As a result of its Oscar success, it’s UK distributor Altitude says it will be making the film available on an extra 80 screens across the country from this weekend, having already doubled the number of screens from 85 to 170 a week earlier. La La Land’s failure to live up to initial expectations became clear earlier in the evening when it missed out on Best Costume to Fantastic Beasts and failed to win two sound awards, with Sound Editing going to Arrival and Sound Mixing going to Mel Gibson’s Hacksaw Ridge, which at one point in proceedings was unexpectedly the most garnered film of the night. Damien Chazelle missed out on the Best Original Screenplay Oscar to Kenneth Lonergan, who wrote Manchester By The Sea, whose star Casey Affleck beat Ryan Gosling to the Best Actor prize. 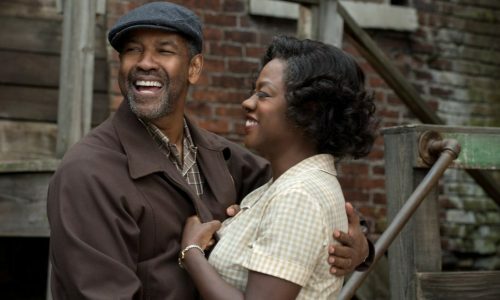 The other acting prize was arguably the most predictable of the night, Viola Davis being named the Best Supporting Actress for Fences. But one area where politics was bound to surface came in the Best Foreign Language category. Iran’s Asghar Farhadi, in effect, sealed his win for The Salesman, when his response to Donald Trump’s temporary travel ban on Iranians – among others – was that he would not go to Hollywood for the ceremony, even if the authorities let him. Another film that couldn’t escape similar recognition was the short documentary The White Helmets, about the work of civilian rescue workers putting themselves in danger to save their neighbours in Syria’s civil war. The cameraman, Khaled Khatib, himself one of the eponymous White Helmets, was unable to attend the ceremony – not because of Mr Trump’s travel ban, which has been suspended by the American courts, but because the Syrian authorities had cancelled his passport. But on a night that was unexpectedly light on the kind of politics that had been evident at previous ceremonies, perhaps the most notable political statement – the surprise winner of the Best Picture Oscar – might have been a response to the Oscar So White controversy that stung the Academy last year. 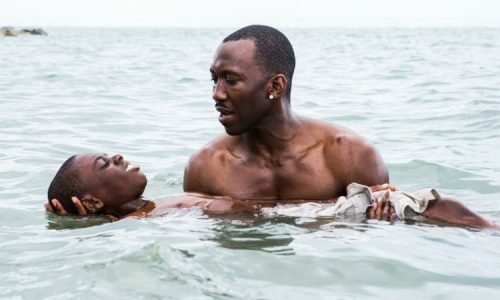 In all likelihood, it could be argued that a film about a young, gay black man, growing up in the drug-addled slums of Miami would resonate less with the still largely white, older men who make up more than six thousand members of the Academy than a film that harks back to the golden days of Hollywood musicals, set in the city – and the industry – in which most of them live and work. The awards for Best Director and Best Picture have traditionally gone to the same film, but in recent years, there have been a growing number of examples where the Oscars have been split, allowing the Academy to recognise particular issues – such as Ang Lee being named Best Director for Brokeback Mountain when Crash was named Best Picture and more recently, when 12 Years a Slave was named Best Picture, while Alfonso Cuarón won Best Director for Gravity. While leaving La La Land producer Jordan Horowitz “a little broken,” the decision will keep critics of the Academy’s membership at bay for the foreseeable future.